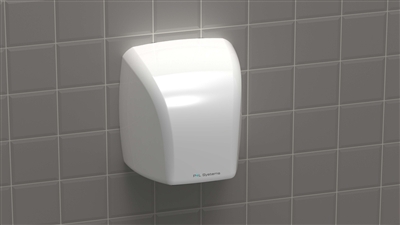 This hand dryer is aimed at the budget market but for a low priced auto-hand dryer, it still certainly comes up to the mark. Constructed from tough ABS plastic, in a clean white gloss finish, its 2.1kW power output, and stylish design make it a definite alternative to paper towels. Quick drying time, high power and low cost.